HomeUK Championship 2018 – Ronnie is your champion! 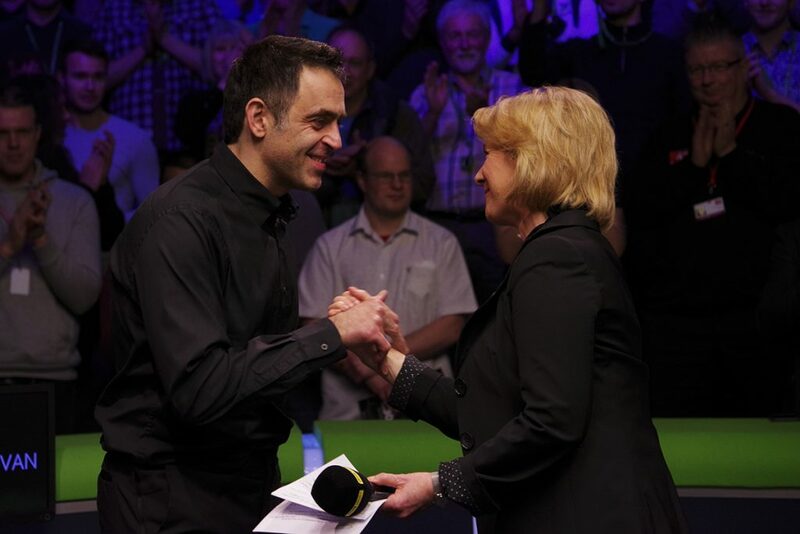 UK Championship 2018 – Ronnie is your champion! 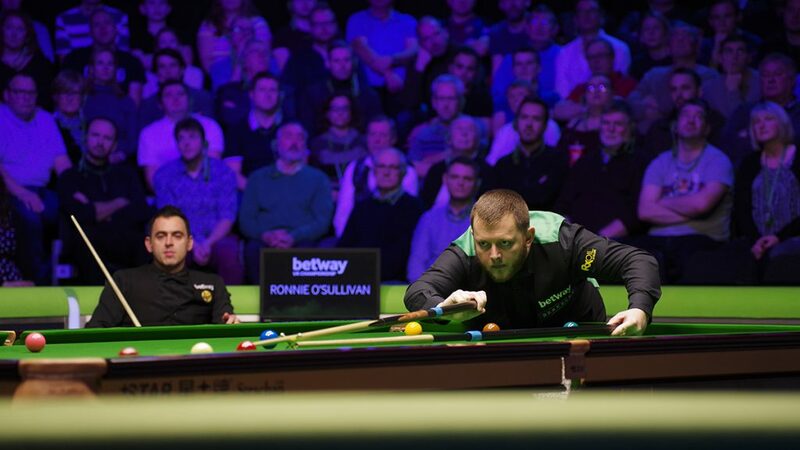 Ronnie beat Mark Allen by 10-6 to win his seventh UK Championship, setting a new record. Steve Davis with six, is now second. This win also brings his tally of “Triple Crowns” to a record of nineteen, one better than Stephen Hendry. This is the first time that a player defends the UK Championship crown since Stephen Hendry in 1996, and for this to be achieved 25 years after winning his first UK title, at only 17, is an extraordinary achievement. Ronnie was clearly delighted and a bit emotional whilst being interviewed by Hazel Irvine and celebrating with the fans. Great to see! Congratulations Ronnie, this was superb! And these great ones are from Tai Chengzhe. Thank you Tai! What a match! What an achievement! 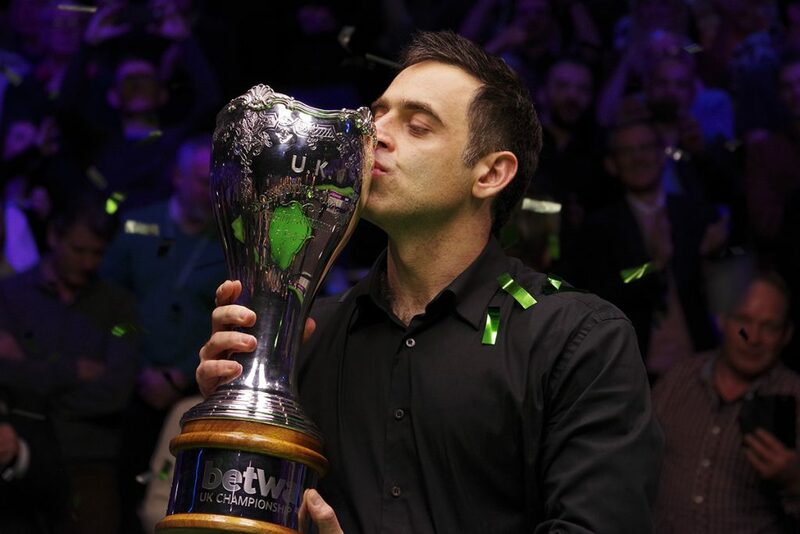 This win places Ronnie in second place on the one year list, a certainty for the first ITV event, the Grand Prix, and for the second one the Players Championship most probably as well. And he’s well placed for the third one too! Now it’s onto Glasgow for the Scottish Open. I don’t expect miracles from Ronnie there… this one must have taken a lot out of him, mentally and emotionally, but hey, lets just enjoy the moment! what a season this is! 5 events: 3 victories, 1 final, 1 semi-final. 38 centuries in this season. He is top of this list with Neil Robbo. Yeah, truely amazing! I’m running out of superlatives. And his first UK Championship 1993 against Hendry was won by 10:6, and by the same scoreline 10:6 Ronnie won it again tonight 25 years later. He now successfully defended / won back to back all of the triple crown events. I never saw Ronnie so happy and openly showing his joy and sharing it with his fans. Sorry for the typo. It should have been : Long may it continue!